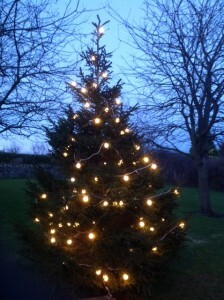 The Christmas Tree on the village green is now standing up and decorated with lights. 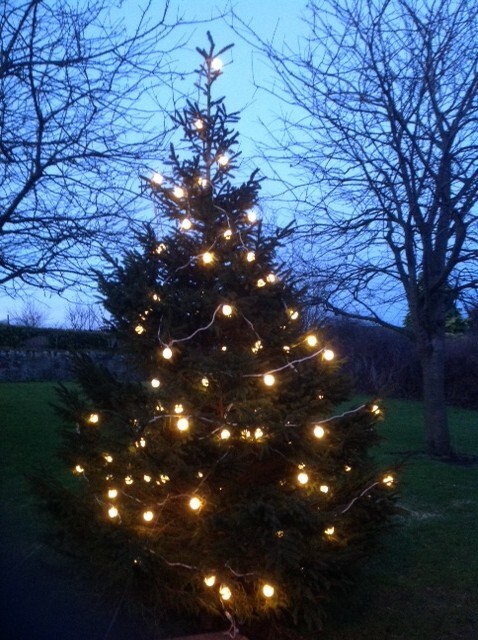 Thank you to the Donaldson family for providing the tree, and to the squad led by Dave Ramsey and Peter McQuade for putting it up. Have a Merry Christmas! This entry was posted in Community Council on December 16, 2013 by Admin.